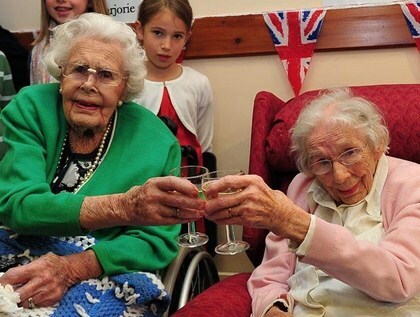 A pair of centenarians have officially been crowned the oldest sisters in the world after notching up an astonishing 213 years between them. 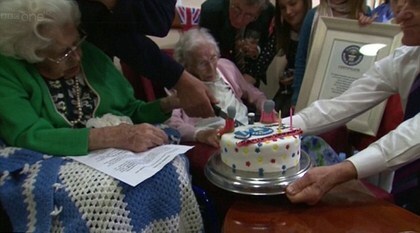 Two British women in their 100s have been named the oldest sisters in the world, after one celebrated a record breaking birthdays. 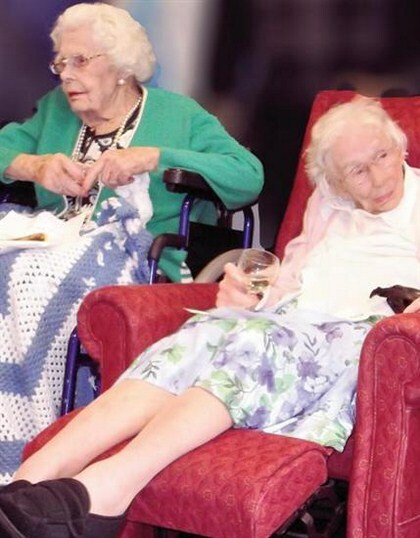 Marjorie Ruddle, who recently turned 105, and Dorothy Richards, 108, were awarded Guinness Book of World Records certificates at a special party to held to celebrate the landmark. On the day of the record break, the aggregate age of the sisters was 213 years, 3 months, and 27 days. 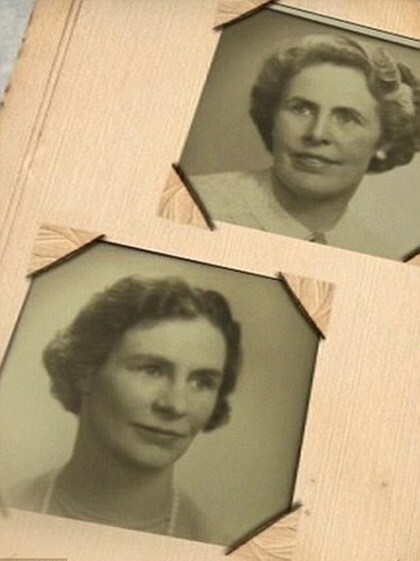 The two girls grew up in Northampton with their sister Hilda, who died aged 40, and two brothers Bernard and Ross, who died aged just 49. 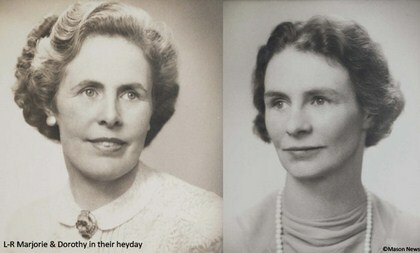 The sisters, who grew up together in Northampton, were keen tennis players and used to holiday together, but had not seen each other for two-and-a-half years because they became too frail to travel. But last week the elder of the pair, Dorrie managed to make the trip from Stamford, Lincs., to surprise Marjorie at the Park House nursing home in Peterborough, Cambs., and the sisters were reunited for a knees up. 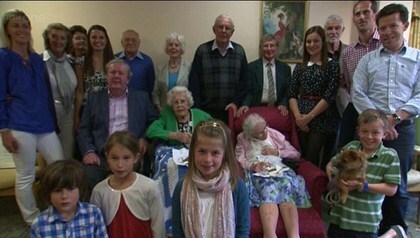 Marjorie, who was born in Northampton back in 1907, has three children, four grandchildren and four great-grandchildren. After moving to Peterborough in the 1930s, she worked in the surgery of her husband Dr James Robertson Wills. Mr Wills died from an illness in 1949 and a year later Marjorie married architect Alan Ruddle. Marjorie says she has never smoked a cigarette and enjoyed a number of hobbies including playing bridge, gardening, tennis and embroidery. Dorrie, who was born on December 15, 1903, just two days before the Wright Brothers made man's first powered flight. On October 29, 1927, Dorrie married Stanley Richards. They moved to Stamford in April, 1941, with their two young sons Graham and Philip, and their third son Martin was born in the town in 1943. Stanley took over an opticians business in St Mary's Street, Stamford, where he remained until his death at the age of 58 in 1961. Dorrie ran a pottery shop in St Mary's Hill until she retired and now she is cared for at Whitefriars nursing home in Stamford, Lincs. 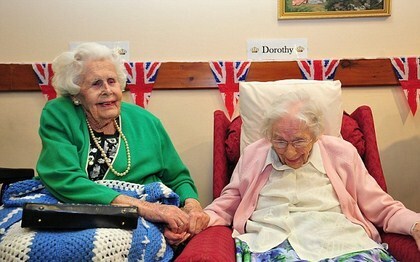 A spokesperson from Guinness World Records confirmed the sisters had the "highest combined age of two living siblings".